Heroes, Heroines, and History: Who Actually Started the Underground Railroad - Book Give Away! Who Actually Started the Underground Railroad - Book Give Away! Guest post by Lyn Cote, and she's graciously giving away one of her ebooks! Actually, the Underground Railroad was not any one man or woman’s idea. It was a spontaneous uncoordinated response to the plight of runaway slaves. It began with free blacks in Ohio. There were several black settlements in Ohio, some groups of them were slaves freed and resettled by their former owners. These settlements consciously saw themselves as havens for runaways. John Parker, Henry Bibb, Charles Langston and many more free blacks in Ohio sheltered and then moved escaped slaves toward Canada. The movement that came to be called the Underground Railroad would never have gotten off the ground without the dedicated group of whites who hailed from the South, providing the African-Americans engaged in the life-and-death struggle with American slavery indispensable allies in their frontline struggle. 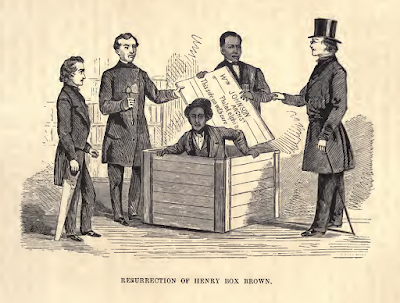 If the South had bequeathed to Ohio Valley much of this proslavery animus it also ironically supplied it with some of its most ardent and militant anti-slavery white activists willing to risk their reputations, their fortunes, their freedom, and even their lives. It might not be too much to say that the Underground Railroad in the region would’ve taken much longer to initiate without the zeal they brought to the cause they espoused. Their fervor was equal to that with which the love of slavery inspired in leaders of the South. Having witnessed--and learn to hate--slavery at close quarters, they brought not only passion but also the willingness and desire to work closely with the African-American communities whose existence on the northern bank of Ohio defied both Northern and Southern public opinion. So it appears that it wasn’t just one man and his sons who started the Underground Railroad but a combined effort between white activists and free blacks in Ohio and then in other Midwest states. It’s an interesting side note that Canada did not abolish slavery until the early 1830’s. In the aftermath of the conflict of 1812, Canada welcomed runaway American slaves as a way to cause trouble to the US.An interesting irony. 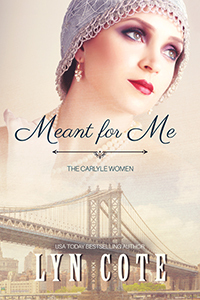 Lyn Cote is graciously giving away an ebook copy of Meant for Me. Lyn's latest series, “The Carlyle Women,” features a Maryland family--both branches--the white and the black and the changes in women’s status and civil rights in the 20th century. Meant for Me, Book One--Chloe Carlyle was raised to be the perfect Southern lady. But when a handsome stranger about to leave for war proposes an elopement, Chloe breaks free. America has just entered WWI. In New York City Chloe is swept up in the heady tides of change. The NAACP moves forward in the midst of race riots, women’s fight to gain the vote is at its peak. Chloe and her maid Minnie become the independent women they never thought possible. What an interesting article. I love Lyn Coe's books!!! Thanx for the giveaway!!! So happy you enjoy my books! Me too and I had never thought that free blacks played the pivotal role. I grew up about 18 miles away from Washington, Kentucky and this is said to be the place that inspired Harriet Beecher Stowe to write Uncle Tom's Cabin. She was visiting relatives in this tiny village near the Ohio River and she witnessed a slave auction and the rest is history! My grandparents lived in the upstairs of an older house there for a short time and there was what appeared to be a holding place in the basement. I have been fascinated with The Underground Railroad all of my life. Wow, that really would have made an impression! Yes, that was right in the path of the URR! Great information! 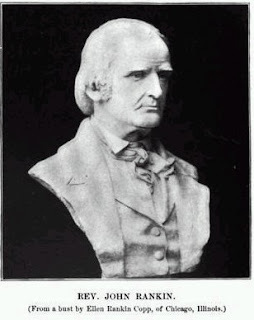 It's important to know that there were white people committed to the abolition of slavery. Yes, Quakers and other Christians risked much to help their brethren enslaved. That's really sad that Canada used the American slaves as a way to cause trouble.